Just about everywhere you go along roads in the Powell River backcountry you'll find Pearly Everlasting (Anaphalis margaritaea). It’s nice to have a flower that’s almost a namesake: Margy, Margaret, margaritaea. You can find Pearly Everlasting on rocky slopes, in open forest areas, clearings, meadows, fields; pretty much any sunny spot from low elevations to sub-alpine heights. Like many other plants in the Aster family, it’s a perennial herb. Many straight stems rise from an underground rhizome (versus a root), allowing it to survive through the winter to regrow each spring. 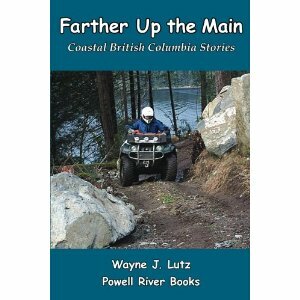 References: Plants of Coastal British Columbia by Jim Pojar and Andy MacKinnon (Lone Pine Publishing, 1994) and Wildflowers of the Canadian Rockies by George Scotter and Halle Flygare (Hurtig Publishers, 1986), and E-Flora BC: Electronic Atlas of the Flora of British Columbia (online). 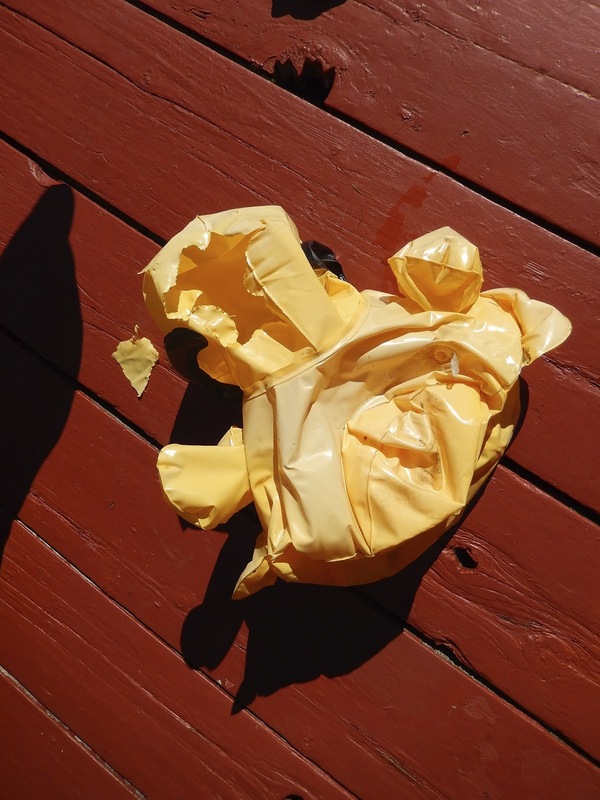 We came home from a trip to town to find Mr. Ducky pulled out of the water and lying deflated on the transition float deck. We'd had a storm, so finding him out of the water wasn't unusual. We can get some heavy winds here on the lake. We went down and discovered a disconcerting fact, the back of his head looked like something took a big bite out of the plastic. The edges of the "wound" at triangular points. What could have done that? Rubbing against the dock didn't seem like the culprit. Then we turned him over and there were puncture holes in his plastic bottom. Did something with claws grab him and take a bite out of his head? Poor Mr. Ducky! We'll never know what really happened. If I had a trail camera, it might have solved the mystery. I bet you can guess what I'm going to ask Santa to put in my stocking. Evenings are cool, so the Kozi woodstove is usually fired up to warm the cabin. On those nights, I like to use the "free" heat to cook dinner. 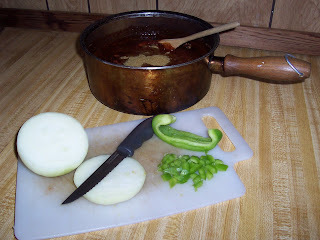 One recipe that's easy to make is stovetop chili because I usually have all of the ingredients as staples on the shelf at my cabin. First crumble and cook the hamburger in a heavy metal pot. Drain fat if needed. Add all remaining ingredients including the liquid from the green beans. Cover and return the pot to the stovetop. Cook slowly for about an hour or until thick and bubbly. Stir frequently, especially if you are using a woodstove and the fire is hot. Add water as needed. Substitutes I use for hamburger include one 5 oz (or 184 g) can of chicken or turkey, or leftover meat chopped or shredded. I like to make fresh bread on the same day to complete the meal. My Buttery Sourdough Pan Rolls are a good choice. 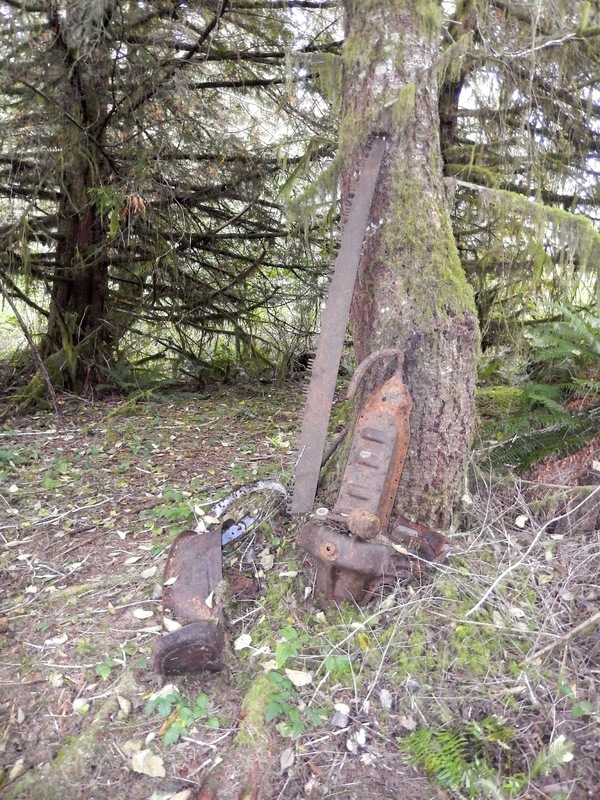 There's history all over the Powell River backcountry. Sliammon First Nation people have lived here for millennia. Intrepid explorers such as Vancouver and Juan Francisco de la Bodega y Quadra followed in the late 1700s. Then came the traders and colonizers. Finally individuals, families and companies who were attracted to our natural resources including timber, fish, and water. The Powell River Paper Company built a pulp and paper mill at the mouth of the Powell River in the early 1900s. 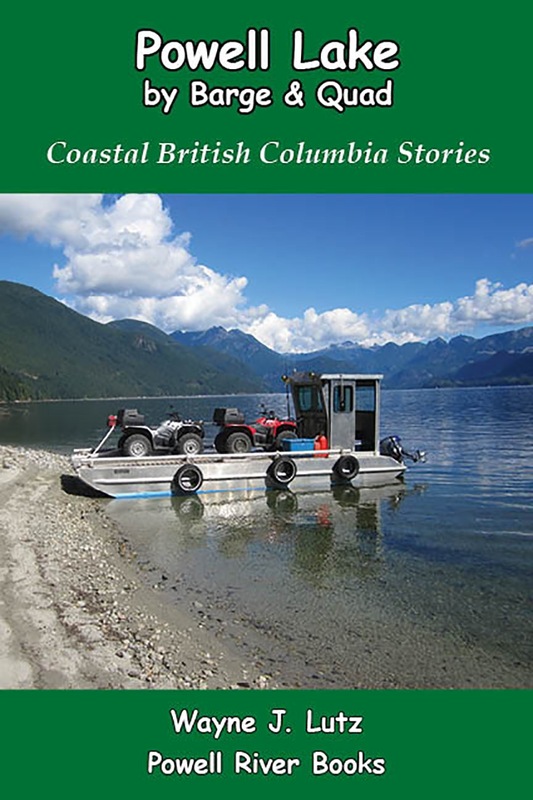 A town was created for mill workers, and loggers branched out into the surrounding area to supply wood for the enterprise and to sell in Vancouver to support the burgeoning building industry. Entrepreneurial people followed forest workers into new areas to create farms to grow food for the new industries. Wayne and I were kayaking on Nanton Lake when I got a hitchhiker on the towel I use to keep sun off my lap. The dragonfly was quite large and bright red. After some research, I believe it was a Cardinal Meadowhawk (Sympetrum illota). Meadowhawks are common in British Columbia. Cardinal Meadowhawks are found flying more often late in the summer season. Based on the brilliant red colour of my guest, I think it was a male. Females are also red, but not quite so intense. Cardinal Meadowhawk dragonfly resting on my kayak. They can be seen flying around ponds, parks and yards. Meadowhawks rest with their transparent wings held in a forward position. Look for them on the ground, low plants, or even moving kayaks. References: Bugs of British Columbia (Lone Pine Publishing, 2001) by John Acorn and Ian Sheldon, and Insects of the Pacific Northwest (Timber Press Field Guide, 2006) by Peter Haggard and Judy Haggard, and E-Fauna BC: Electronic Atlas of the Wildlife of British Columbia online. Narrow-Leaved Bur-Reed (Sparganium angustifolium) is a common aquatic plant in Coastal BC ponds, along shallow lake shorelines, and slow moving streams. The rhizomes are anchored to the bottom and stems and leaves are both submerged and floating on the surface. It creates dense underwater jungles and mats with its long, thin leaves. At the time we were there, no flowers were visible. Male flowers are on the upper portion of the stem rising out of the water. Female flowers form rough round heads that look like burrs. They are found on the lower portion of the same stem. That arrangement, and growing close to neighbouring plants promotes fertilization. The burr like fruits and reed shaped leaves give these plants their common name. 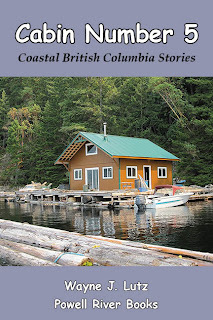 References: Plants of Coastal British Columbia by Jim Pojar and Andy MacKinnon (Lone Pine Publishing, 1994), Wild Berries of the Pacific Northwest by J.E. Underhill (Hancock House Publishers, 1974), and E-Flora BC: Electronic Atlas of the Flora of British Columbia online. Wayne writing at the picnic table with its winter enclosure. When we purchased our cabin in 2001, it came with a bright red picnic table handmade by our good friend John. Over the years it's had lots of use for meals, crafts, gardening chores, chainsaw sharpening, and Wayne's writing projects. In 2007, our table had it's first catastrophe. It lost two legs to wood rot (Leg Surgery for a Picnic Table). I guess it's termed dry rot, but in this case it was more like wet rot. John came to the rescue and gave it two new legs to stand on. Over the years benches and tabletop slats have been replaced a few at a time, and Wayne has added multiple coats of paint to keep out the wet. Not much of the original table remains, but we don't want to give up on it. Like the Seven Million Dollar Man, "We can rebuild him. We have the technology. We have the capability to make [him] better than he was before," so to speak. Dice tomatoes and cook on low until tender. My tomatoes are coming in a few at a time right now. Some are in perfect condition for dinner salads, but some have a few blemishes. 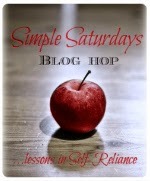 For those, I've been making simple tomato sauce to freeze for use during the winter months. Trim any bruises or blemishes from fresh tomatoes. Dice the tomatoes and place them in a sauce pan. Cook covered on low heat for 20 minutes or until very tender. Stir occasionally to prevent sticking. Reduce strained tomato sauce by half. Remove seeds and skins through a large strainer into another sauce pan. I used a wooden spoon. Stop when all you have left is skin and seeds. Cook the strained tomato sauce on low until it reduces by half. Place in freezer containers, cool, cover tightly and freeze. Place in freezer containers, cool, cover, then freeze. I did not season my tomato sauce because I want to use it in a variety of ways later. If you prefer, you can season it before freezing. Dave and Wayne tip the fridge on its side for repairs. After a week of monitoring our Unique propane refrigerator, we knew Dave’s adjustments weren’t enough. We were pretty sure the problem was in the thermostat, so we ordered a new one from the factory. In the meantime, we had to empty the fridge for another trip to the States. We scheduled Dave to come back up to the cabin right after our return. Coordinating the part pickup at the post office and Dave’s arrival was tricky, but it all worked out. Four months of working around a fridge in the middle of my kitchen. It was a very good thing that the fridge was empty. It had to be tipped on its side to install the thermostat on the bottom. Of course, there was very little space to work around pipes and tubes to get things out and in properly. The hardest part was getting the capillary temperature sensor installed from the back of the fridge into the food compartment. This tube is what tells the burner to go higher or lower to regulate the temperature. Dave installs the replacement regulator from Unique. 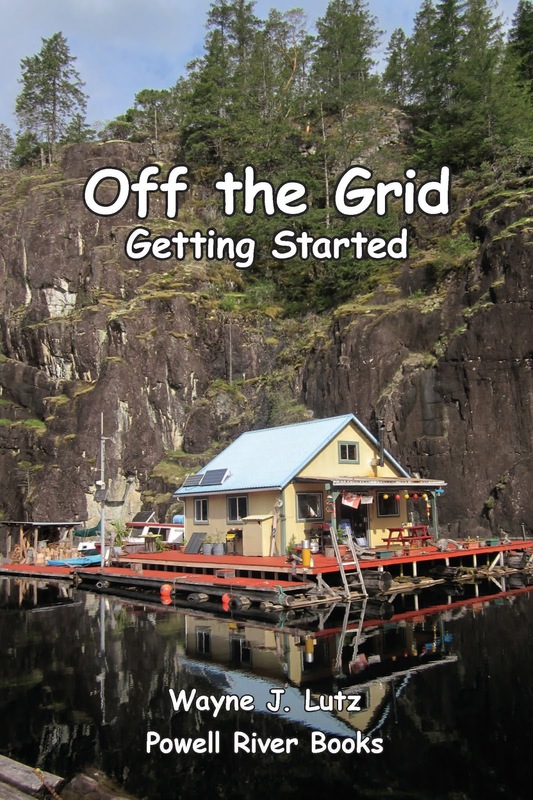 Propane appliances are a good solution for off-the-grid living, but they can have their own issues. If you aren’t able to do repairs by yourself, it’s really important to have someone who’s willing to go “the extra mile” to get the job done. Thanks John and Dave. 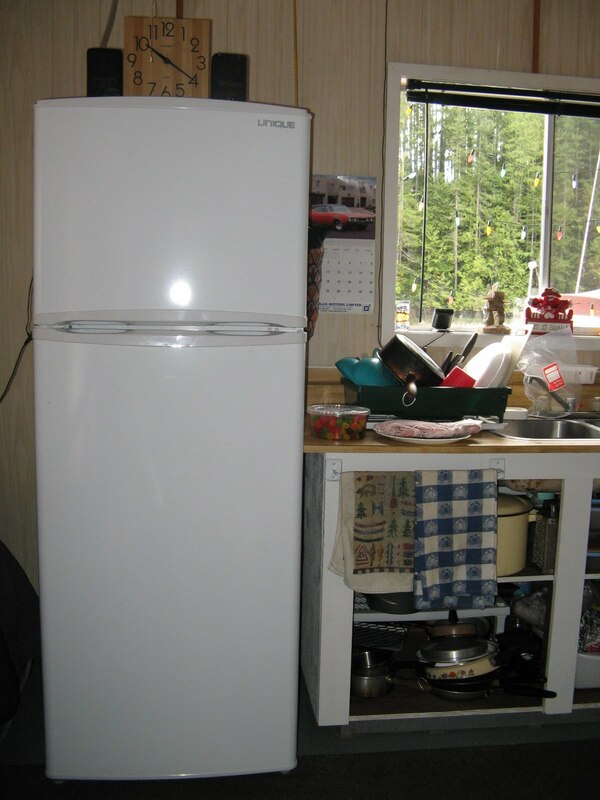 In 2011, we remodeled our kitchen at the float cabin and added new propane appliances. We chose a Unique 11 cubic foot refrigerator to replace our old 8 cubic foot RV style Dometic. The Unique was flawless until last March when the temperature started fluctuating wildly. As long as we were home, Wayne could chase it with the temperature control knob. But if we left for more than a day, we never knew what to expect. 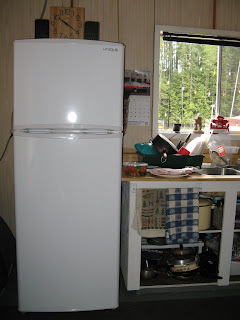 We came home from a trip to the States to find the fridge off, mildew growing, and food spoiled. Not much, but all those condiments cost a lot to replace. We called our good friend John to come have a look. He’s installed all of our propane devices. To get ready, we pulled the rug up and moved the fridge into the middle of the kitchen floor. Then off came the burner’s safety cover, and we spent hours, days, even months monitoring the strength of the flame as we moved the temp knob up and down, chasing that ideal 4°C. We talked to lots of people, but no one wanted to come up the lake. One suggested replacing the propane regulator. That was a job Wayne could do. But it didn't solve the problem. Wayne created a graph of the fluctuations and called the Unique factory for assistance. Dave from D and M Burner Services in the propane shed adjusting the flow. John saved the day. He lead us to the perfect gas technician, Dave from D and M Burner Services. I highly recommend Dave for any of your gas and propane needs. He’s a great guy, and has years of experience in the business. And most important of all, he willingly met us at the Shinglemill dock and brought his tools and talents to our float cabin up the lake. What a relief. Dave testing and adjusting the propane flow with the manometer.